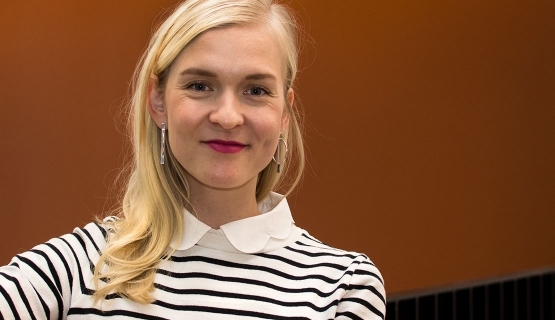 Roosa Ketola from Next Gen Marketing Professionals program shares her experiences. During the Next Gen Marketing Professionals program, I dived into projects in different phases. Whether it's time to reposition an old brand or time to launch a new communications concept, all projects were facing a situation where you have to rethink, change direction, or even create something from scratch. There have been challenges to overcome, but during my time in the brand marketing world, I heard the same comment from marketing professionals many times: keep calm, marketing isn't rocket science. I remember our latest training session at Aalto EE on marketing strategies, where a professor from Aalto University said that you can for sure study rocket science at Aalto University, but not it in the Department of Marketing. If marketing isn't rocket science what is it? If we don’t send rockets to the space, what makes marketing and branding so essential? We all know it's not about life and death, but it's there in our everyday lives affecting us a thousand times a day. You could even say that marketing is with us from cradle to grave. Great brands affect consumers at a deep emotional level, from what we think about ourselves to how we see the world. Great brands affect consumers at a deep emotional level, from what we think about ourselves to how we see the world." When substituting milk with a plant-based option such as Oatly’s products, you are also turning your idea of living green into reality and feeling that you are making the world a better place with your daily choices. And when we talk about iPhones we go even deeper into how brands take part in our daily life emotionally and physically. Finding the sweet spot and reaching consumers in their busy lives needs an insightful marketer. There has been lots of discussion that in the future, creativity will become even more valuable in business life than technological skills. Could it be that in the future the saying will be “no worries, this isn't brand marketing”? By nourishing creativity, you will always be able to solve unexpected problems and connect things in new ways. Creativity is sometimes regarded as a characteristic someone has or doesn't have. But by using new ways of working and creative tools, we can find creativity within ourselves. In the trainee program, we had trainings ranging from design thinking to creative culture. If we force our brains to make an extra loop, we can find something we've never seen before and create unique value for our brand. We are not here to keep doing the same things in the same way as previous generations." We can practice creative thinking by building 1.5 meter tall structures using only air balloons, or creating a 'soul of the company’ from drinking straws – such exercises open up new points of view and expand the ways you look at problems and solutions. By limiting the number of tools available to carry out a novel task, the exercises forced us to be creative. To create differentiated and unique brands, we need to think differently. The program is designed to help trainees grow and learn. Future business life won't be stable, so we can't just stay still. As next gen marketing professionals, we have a responsibility to aim high and be curious. We are not here to keep doing the same things in the same way as previous generations. How can you be data-driven and still intuitive? As well as learning how to boost creativity, I have also understood the importance of being data-driven in marketing. The goal is to combine creativity with data -based decision making. The amount of data available is massive, but the value of data and technology depends on how wisely we use it. The value of data and technology depends on how wisely we use it." If our future becomes as technology driven as seems likely, understanding how to utilize technology and data in creative ways will be crucial – with space needed for intuition as well. Working with bigger and bigger data sets requires us to become smarter and wiser than ever in order to succeed. We don't fly to the moon every day, but we are in connection with brands all day long, so let's keep making brands meaningful and special. You might also enjoy reading other stories related to the Next Gen Marketing Professional program.